Startup lessons learned, Personal productivity, Lean in real life & Experiencing the customer experience. What Will the Robots Not Take From Us? There are a few things this post is not. …it’s not a debate about a universal basic income. …it’s not a philosophical discussion about the self-worth that comes with your job. …and it’s not an argument about whether current technology/automation advancements will be different than previous technological revolutions like farming or factories, where those movements produced as many new jobs as they wiped out. If you were a graduating high-school senior this spring, what career paths should you pursue to avoid “getting automated”? To answer let’s think about where robots might struggle. Robots are fantastic decision makers. They’re faster than us, completely unbiased, and don’t suffer from decision fatigue. But they don’t specialize in the creation of new rules (which the robots will ultimately be able to apply better than us). The less we’ll work the more time we’ll have on our hands to be entertained. Or so it goes in WALL-E, which might not be far off. To clarify, this is live entertainment. Robots are excellent factory line workers but we still need someone to come up with new products, designs, and services to fill our factories with. The theme is obvious at this point. Take a look at your job today and ask, are you creating, or simply just doing? It’s the 8th of January so by now you’ve seen plenty of posts about setting new goals for the new year. However, if you’re going to go through the effort of setting goals (which is a good first step), remember these tips for setting the right kind of goals so that the effects last throughout the year and you’re not off the wagon before the end of the month. S.pecific, M.easurable, A.ssignable, R.ealistic and T.ime-related (or some variation of that acronym). Setup a goal framework that links your long term ambitions to daily and weekly habits. How’d you do last year? I recommend aiming for a range of 60%-80% goal achievement. Any less and you probably didn’t have a good year or were unrealistic with yourself. Any more and you’re not stretching yourself enough. In any case, after you set your goals this year set regular reminders to check in on your progress. Let’s try something different here. On average the posts here are around 1,000 words and come in once a week or so. But what if the posts weren’t quite as involved? John Carmack explores this idea when he talks about blogging about the little things. It doesn’t need to be big, significant, detailed, mind-blowing to come out but just of a little value. It is helpful to think just of one person who had the exact same problem as yours and was helped by your post. Maybe the post won’t get thousands of shares as we see in our reading list but hey, it saved someone’s time :). Following up the Websites are Easy; The Content, That’s the Hard Stuff post, here are a handful of more tips to make blog writing easier for you. Supercharged Episode #44: Something about Fruity Pebble’s Non-Ionizing Radiation? In case you missed it check out episode 44 of the Supercharged podcast. I was fortunate enough to join Adam Dachis, et al, for a roundtable on the latest tech news, exploring the best tips, tricks, and downloads for doing things better in the digital age. Make blog writing into a natural habit so you feel something missing when it’s not there. OK Bryan, great question. You’re right, it’s pretty easy to figure out how to create your first blog. Especially with sites like WordPress and Squarespace. It’s taken awhile but I’ve found a great routine to writing, enough so that it’s part of my weekly schedule. So here’s how I write a post each week. As we officially shut the door on 2014 one of the last things I like to do is take a current snapshot of the tools I’m using. First, a couple trends I’ve noticed. First, I’m paying more. Of the 15 apps listed here I’m paying for 7 of them. A few years back you’d be lucky to get money from me on a quarter of the apps I used. I wrote about this earlier in the year as I’ve learned how minuscule the cost of these apps are – a couple bucks a month – in comparison to the time you save. Second, this list is getting longer. I’ve added 17 new apps this year compared with the 12 from last year, which doesn’t include many of the honorable mentions I left off to keep this list from being overwhelming (e.g. Overcast, MyScorecard, Misfit & Multi Timer for Pebble, and more). Maybe I’ll need an app purge in a year, but as long as they keep talking to each other I’ll keep exploring and updating. Of course you can always catch the latest on the How I Work page. In the meantime, here are the tools that made the jump to became part of my daily work flow during 2014. Around this time last year I talked about The Aspire, Achieve, Do Method for goal setting. And it’s amazing because there are just three easy steps. What’s the Deal With Slack? 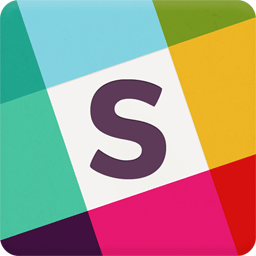 Slack: The app I can’t stop hearing about right now. The buzz has come from my non-tech friends too, which is one of the best bellwethers to me indicating tremendous potential. Is Your Company Creating an IT Nanny State? In an interview last week the interviewee made an off hand comment that her current company is stringent on the hardware and software she’s allowed to use. It’s a large organization with thousands of employees, which seems to be the norm for that type of company. I wonder, though, if her company has considered reasons why they wouldn’t want to control their employees’ tools so much. She’s had to resort to PowerPoint for software wireframes. Seriously. Enter your email below to get this and other Lessons Learned posts emailed to you every week. When To Care About Utilization and Chargeability?